Blue Star Vermont: Best wishes for a wonderful 2014! Here is one great batch of cookies that Blue Star Vermont had a hand in. 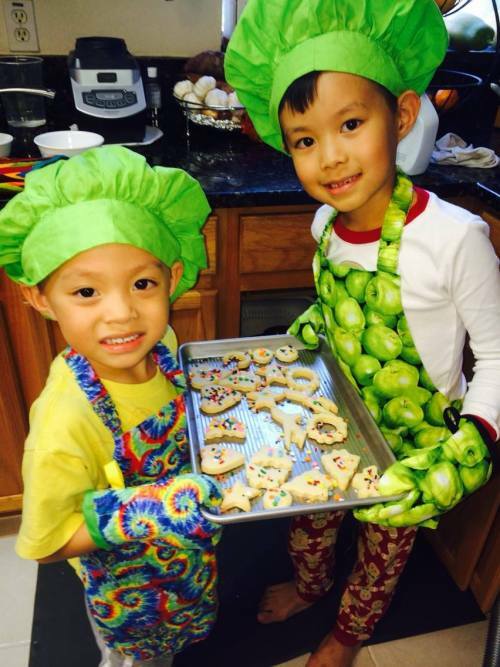 Yes, those are our insulated children's oven mitts, just right for these wonderful wee hands, our aprons and chef hats too. So glad we could be a part of all this baking fun. We have heard reports of lots of holiday cookies pulled out of the oven with our mitts and lots of Blue Star Vermont aprons opened under the Christmas tree. We have loved being a part of holiday giving.